Science and Technology, the key instrument for economic advancement has been considered as an indicator of economic growth. However the footprints of Science & Technology are the Intellectual Property Rights. They reflect the core technological strengths of a country. Maintaining a competitive edge and enhancing the market position are the impacts of IPR. With the advent of new economic policy India has entered the multilateral system of trade. India now needs strict intellectual property system in order to survive in competitive market. 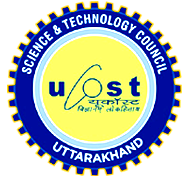 A step in this direction was taken by instituting a Patent Information Center (PIC) under the Uttarakhand State Council for Science & Technology, Dehradun (Uttarakhand) with technical and financial support from Department of Science and technology, Govt. of India, New Delhi.